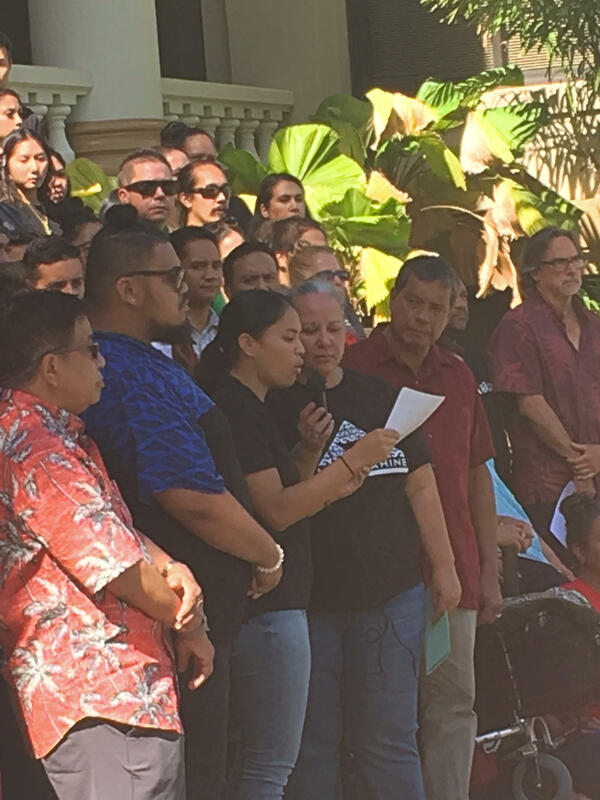 A group of University of Hawaiʻi faculty, staff, and students is urgingthe University terminate plans for construction of the Thirty-Meter Telescope on Mauna Kea. This comes a little over a month since the Hawaiʻi Supreme Court upheld its decision to allow TMT construction to proceed. HPR’s Kuʻuwehi Hiraishi reports. 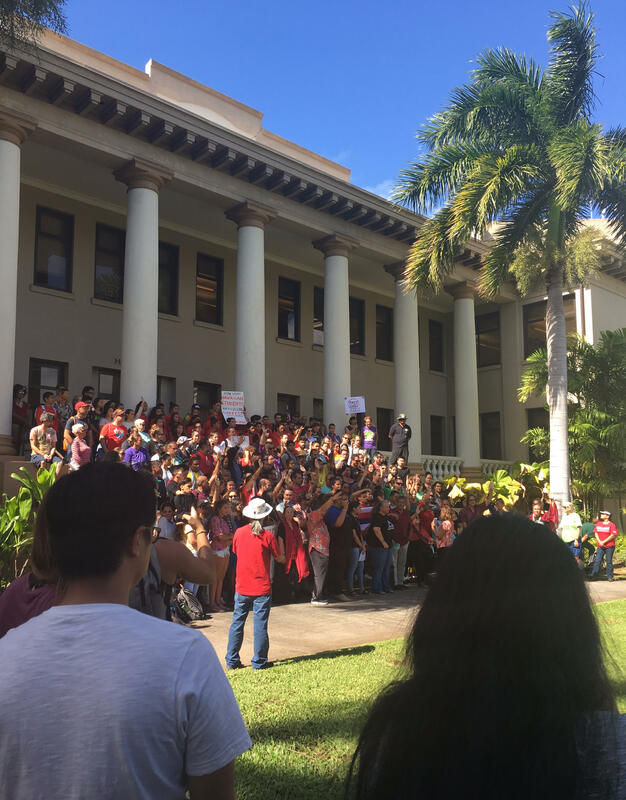 More than 100 University of Hawaiʻi faculty, staff, students, and supporters gathered yesterday on the steps of Hawaiʻi Hall at UH Mānoa in a last-ditch effort to halt construction of the Thirty-Meter Telescope. “I think the University has to realize that it’s not just the broader community that is opposing the TMT, but within the University itself,” says Ethnic Studies Professor Davianna McGregor. She helped organize the gathering. The group is callingon UH President David Lassner, the UHBoard of Regents and the TMT corporation to terminate any and all agreements for the construction of TMT. “And we’re determined to use our internal structures to challenge the decisions that were made to build TMT, the agreements that were made, as well as the funding that is being diverted from our research grants to fund the legal representation for the construction of TMT,” says McGregor. The $1.4 billion telescope will allow astronomers to see deeper into space than ever before and with finer detail. UH Political Science Professor Noelani Goodyear-Kaʻōpua says she’s not opposed to scientific research or astronomy. But she says this research comes at a price. The group is also urging the University reject the proposed Mauna Kea Administrative Rules. They say it would, in effect, criminalize those who say they are seeking to protect the mountain. 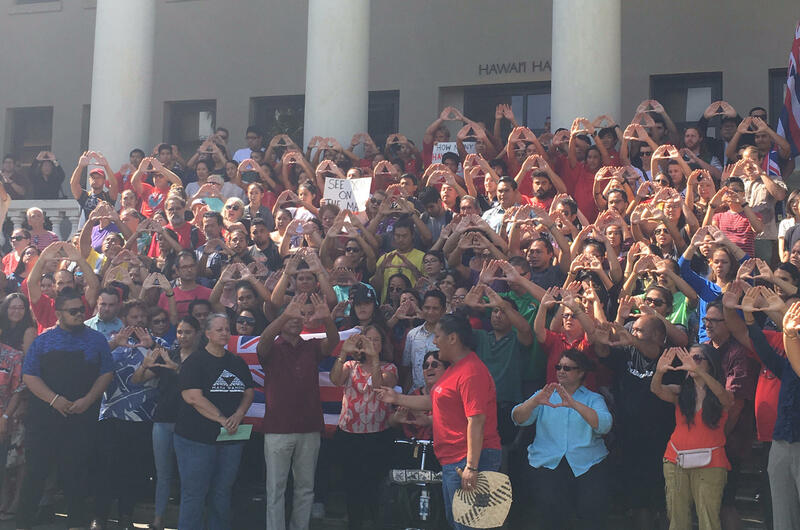 UH junior Hiwa Kaʻapuni was the only student to speak publicly during the gathering. “It’s our right as Hawaiʻi to be on our mauna,” says Kaʻapuni. “It’s a hard question to answer because the fact of the matter is this ship has sailed. Decisions were made that we’re continuing to honor and we’re continuing to support,” says Meisenzahl, “So it’s a challenge right now because how do we bridge that divide? And the honest to God truth is we’re not going to be able to with everybody but that doesn’t mean we’re not going to continue to work at it. In a historic decision the Hawaii Supreme Court handed down a ruling that will allow the Thirty Meter Telescope to proceed with plans for construction on Hawaii Island’s Mauna Kea. But some opponents have vowed they will not give up, though the legal options have narrowed. The project has long been on hold while a legal challenge played out. The board of the legally beleaguered Thirty Meter Telescope deferred on a decision to relocate the project to the Canary Islands. The announcement came last week following the passage of a Mauna Kea construction ban by one house of the state legislature. Bute a move is not off the table.